schoolgirl, with an average life in an average town. I have yet to see them. 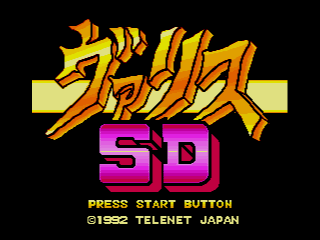 of the Turbo Graphix 16/PC Engine game library. 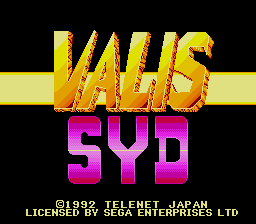 While I do not have the original Valis. I do own Valis 3 and agree with Dark Wolf on this one. All of the Valis games are worth their price of admission just for the anime cut scenes alone. The actual games are choppy in animation and also the music isn't any to write home about. 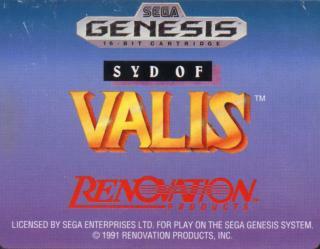 But Valis 3 is probably the best of this series on the Genesis/Megadrive that is out. 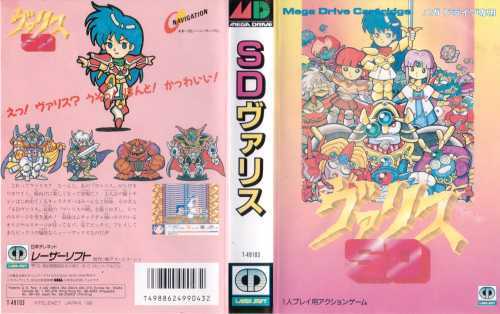 I can tell you that any of them has got to be better to play than Super Valis 4 on the SNES...which just seems to lack any amount of Fun at all. Its got nice graphics and good music, and it reminds me of castlevania 3 (where you can switch characters too).. The very first valis is not the one made in 1991 on the genesis but the one on the famicon ( nintendo japan) and it's called Valis the FANTASTIC soldier. The first one on the genesis is a remake of the one on the famicom. About the same story, same music and characters. But it seems that no one knows this one. It is probably the most dificult game in the world and I'm serious. Oh yeah, I forgot to mention the NES version in my comment. It is hard, I don't know how you could possibly beat it. The anime series that the Scribe refers to was never released as far as I know. Several people have looked high and low for it. The best series of games to come from Telenet/Renovation. The gameplay isn't all that great, but the cut scenes are what the game is about. Throughout the three games you follow a story line which is very well writen (ignoring the crappy US manual explanations of course). Yuko the main heroine fights all sorts of Dark World rulers including Rogles, Megas, and Glames through out the three games. Yuko also ends up fighting her best friend, and it ends with her friend's death. The game isn't black & white either. In Valis III Cham tries to steal Yuko's Valis Sword but ends up being her friend later. And all Glames is trying to do is save his world by conquering the other worlds. 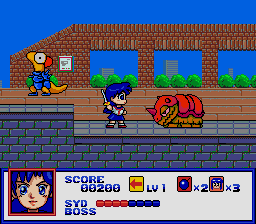 If you haven't played these games I suggest you find them now, the Valis series spans over the PCE, MSX, Megadrive, SNES, and X68000 systems, so I'm sure you can find something. 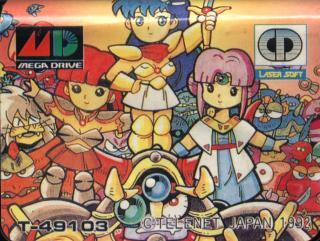 A side note, it's too bad Valis 2 was only released on the Megadrive in a chibi or super deformed version.